Below, the black PVC version sans stamp. 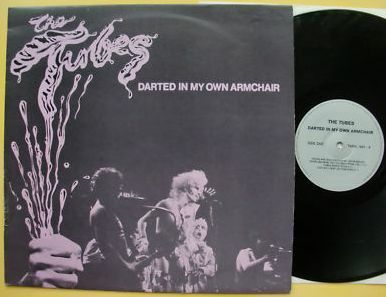 The Tubes’ second bootleg following TAKRL’s Darted In my Own Armchair a couple of years earlier. Source: KSAN San Francisco broadcast from the Record Plant in Sausalito, 2 June 1974. Officially released as “Live In America”. 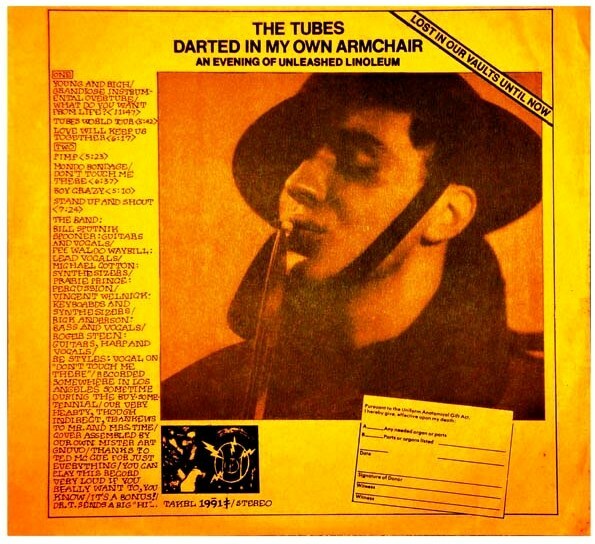 I guess TAKRL would say: The first ever Tubes underground.